Powerfullier. Trackier. Yellower. And now with 100 percent more automatic transmissions. The 2015 Corvette Z06 is either the car of your dreams or your nightmares. Or both. And now Chief Engineer Tadge Juechter is here to answer all your questions. 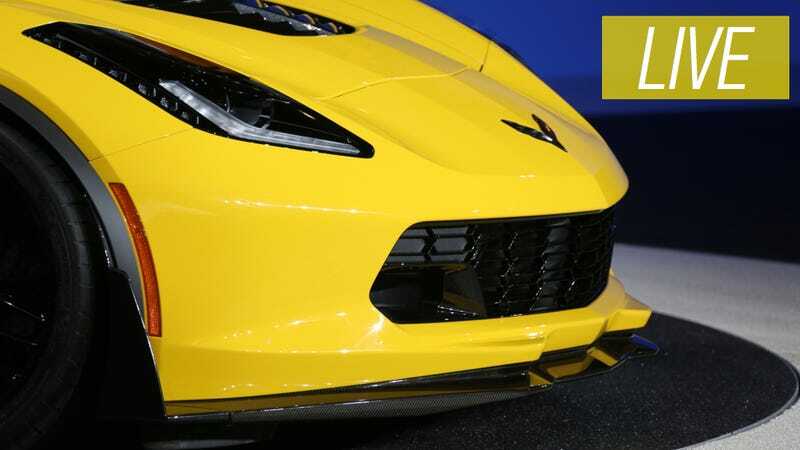 With 625+ horsepower and 635+ pound feet of torque, the numbers behind the new Corvette Z06 cannot be argued. But there are points that can be debated, like the inclusion of an eight speed automatic gearbox and a removable targa top. Tadge Juechter is the Chief Engineer of the entire Corvette program, so the buck starts and stops with him. You want to know why the Z06 is the way that it is? This is the man to ask. And luckily we have him around to answer your burning Corvette questions for a bit. Fire away!